Many perceive large, bustling cities as the enemy of land conservation. Cities are, after all, easy to contrast against a wide green field of tall grass. Yet in today’s fight for land conservation, big cities aren’t what’s tearing up our pastures. The enemy of open space is sprawl. We’re chopping up large tracts of land to make roads, housing developments, business parks, and shopping centers. These aren’t densely packed cities; they’re suburbs that take over large areas and leave only small tracts of land dotting the landscape. 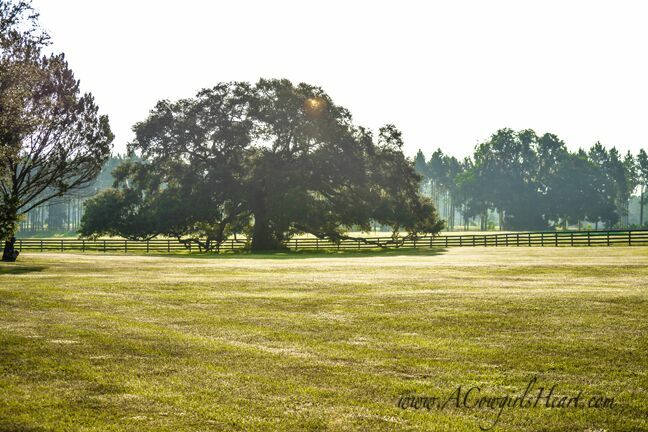 In Ocala and Marion County, much of our open spaces are used for a specific purpose – horse farms. Our climate and ecosystem are suited well for equine health and enjoyment. Marion County has over 1,200 horse farms covering more than 77,000 acres. In 2002, we were officially named “Horse Capital of the World”. Each year the area hosts the Ocala Breeders’ Show, the HITS Ocala Winter Circuit, and Live Oak International. Recent Thoroughbred winners American Pharoah, Triple Crown Winner of 2015, and Nyquist, winner of the 2016 Kentucky Derby, were produced in Marion County. The Ocala horse industry not only puts us on the map, but it also supports the local economy and drives tourism. In Marion County, land conservation is vital to preserving our identity and keeping the equine industry alive. This article will summarize the need for a local land conservation program and how it relates to the survival of equestrian activities. As an educated supporter of the equine industry, you can help us advocate for land conservation in Florida and across the country. Ocala is surrounded by three major Florida cities: Jacksonville, Orlando, and Tampa. Inevitably, these large urban centers grow and spill out into adjacent areas to create suburbs. These suburbs connect to the city and other suburbs through ever-widening roads that cut across once open space. Business parks, shopping malls, and neighborhoods take over even more land and disrupt the natural landscape. Sprawl happens slowly and steadily. Even in horse country, you risk losing your neighboring lands to development. Rural sprawl is becoming more popular as people seek homes in the country with more land and lower taxes. Miles of riding trails and productive hay fields can be quickly lost when a highway or housing development takes over part of the land. In order to preserve the open spaces in Marion County, landowners must be proactive. The local community must recognize the value of conserving this land and landowners should implement safeguards to prevent development. Open land absorbs and filters stormwater, keeping our water clean and our land from flooding. Grasslands and forests trap and store carbon, helping to reduce greenhouse gas emissions. Vegetation on undeveloped land protects the soil and prevents erosion. Wildlife that inhabit undeveloped fields and forests helps keep pest populations in check. Here in Marion County, we have a growing interest in land conservation. As “The Horse Capital of the World”, we rely on large, open tracts of land for equine activities. Boarding, training, hay fields, horse farms, and riding trails all require significant acreage. Our equine industry supports over 19,000 full and part-time jobs and local professions such as veterinarians, blacksmiths, feed suppliers, equine dentists, horse transportation companies, tack retailers, and horse farm tour companies. Horse shows, races, and sales draw people to the region and support the local economy through tourism. A recent study showed that the equine industry has a $2.62 billion economic impact on the Ocala/Marion County area. Over 80% of visitors who attend the Ocala Breeders’ Sale and HITS Ocala Winter Circuit indicate that they will return the following year. Only through careful land conservation can Marion County sustain its horse industry and continue to benefit economically from this niche market. Additionally, studies have shown that green space adds value to the surrounding land. For the local government, a higher value on the land means higher property tax receipts. Local tax revenues are shown to increase $250,000 – $500,000 per 1% increase in conserved agricultural lands. Steering growth away from the agricultural areas of Marion County is the best move for preserving the horse culture and economy of the area. Advocacy by citizens and careful development planning by the local government can safeguard the land. Another method to protect the land from future development is to place a Conservation Easement (CE) on the land. A CE is a voluntary deed restriction that limits the use of the land and defines the type of development that can occur on the property. Typically, CEs allow for the development of agricultural structures such as fences and barns and can be customized to fit the landowner’s preferences and intentions. Conservation Easements can be put in place to protect natural resources like productive agricultural land, ground and surface water, wildlife habitats, or scenic views. Once established, CEs apply to both present and future owners of the land. SEE LINK. The State of Florida also offers a property tax exemption for land protected by a conservation easement. Landowners can also sell their development rights and be compensated through a number of federal and state programs that provide funding to purchase easements on farm and ranch lands. The USDA Agricultural Conservation Easement Program (ACEP) SEE LINK is one example. Development moves at a fast pace. Highways, neighborhoods, and business parks are rapidly taking over the once open land in Central Florida. Landowners and community members should take steps now to carefully plan for and control development headed for Ocala and Marion County. American Farmland Trust, Equine Land Conservation Resource, and Land Trust Alliance are national organizations that offer information and tools to get you started. 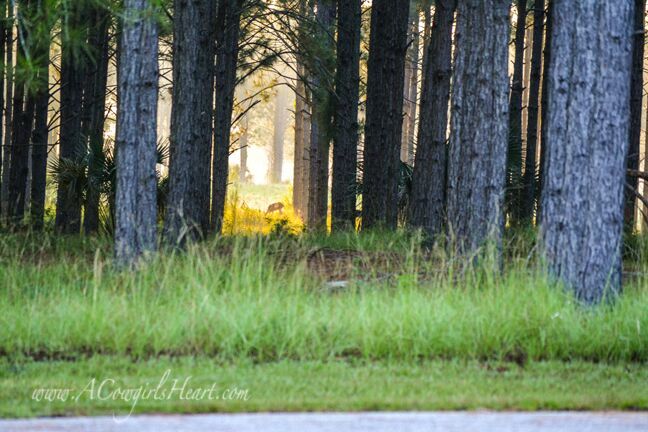 Locally, Alachua Conservation Trust has partnered with the ELCR to form the Horse Country Protection Program. This outreach initiative hopes to expand awareness about the impact of sprawl on the agricultural lands and natural resources of Marion County. Help protect the future of Ocala’s equestrian community and green spaces by getting involved in local land conservation today. Interested in learning more about farms for sale in Ocala? Contact our team of experienced real estate agents at Showcase Properties to explore luxury and equestrian properties in Marion County, Florida.